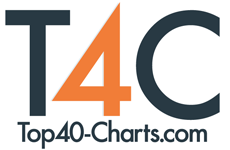 New York, NY (Top40 Charts) Listen up Thalia fans! The Queen of Latin Pop is launching Conexión Thalia in podcast format. Hosted by Thalia and cohosted by her long-time friend and broadcaster, Horacio Ontiveros, Conexión Thalia offers listeners a chance to connect with the star as she interviews people who are making a difference in the worlds of music, entertainment, fashion, beauty and more. Conexión Thalia debuts today on reVolver Podcasts. "I'm really excited to present this podcast. Conexión Thalia is one of my favorite ways to share my experiences and ideas with my fans and new audiences," said Thalia. "We will talk about everything! There will be special guests, discussions on important topics for our community, and lots of fun." "Thalia's greatest star power is her ability to make her fans and everyone she encounters feel special. I'm pleased to have her join reVolver Podcasts with her show, Conexión Thalia," said Jack Hobbs, president of reVolver Podcasts. "This show will be informative, engaging and enriching. I know her fans cannot wait to hear from her and will want to subscribe to Conexión Thalia so they never miss an episode." Tune in and subscribe for free to Conexión Thalia. Find your favorite reVolver Podcast at reVolverPodcasts.com, Apple Podcasts, Spotify, Google Play and iHeartMedia. To listen on Apple Podcasts, visit https://itunes.apple.com/us/artist/revolver-podcasts/id1086192367. Sales or marketing inquiries can be directed to reVolver Podcasts at jack@revolverpodcasts.com. For questions about content or to find out how to become a content provider and host, email maria@revolverpodcasts.com. reVolver Podcasts is the leading multicultural, audio-on-demand content creator and distributor in the U.S. Home to "El Show de Piolín," "Wrongful Conviction with Jason Flom," "Neteando con Kate y Jessica," and "House Call with Dr. J" plus more than 50 additional programs spanning sports, music, finance, entertainment, lifestyle, health and wellness, inspiration, news, real crime, branded content and live events, the podcasts are distributed on reVolverPodcasts.com, Apple Podcasts, Spotify, Google Play and iHeartMedia. For more information about the company, visit www.revolverpodcasts.com. One of the best-selling Latin artists of all time, known as the "Queen of Latin Pop", Thalia has a long list of achievements as a singer, composer, actress, entrepreneur and also reaps successes in the field of fashion design with her Thalia Sodi Collection at Macy's. Named one of the most successful Mexican and Latin artists with 15 No. 1 singles, Thalia has sold more than 45 million albums worldwide. She has received multiple awards from Latin Billboard Awards, Premios lo Nuestro, Premios Juventud and Latin Grammy, among others. In addition, she has a star on the Hollywood Walk of Fame. Thalia has also been awarded the celebrity with most nominations for People en Español's "Más Bellos". James Bay Releases New Track & Video For "Slide"
Production Set To Start On New Line Cinema's "The Kitchen"